C++ is a programming language. It was first seen in the year 1980’s.C++ is an object oriented programming language it has more advantages and benefits then the simple C language. There are C++ definitions’ and compilers which have made the object oriented programming simpler and much easier. C++ is now the world’s most contemporary mini and micro computer applications are written. It was initially developed in the AT&T’S laboratories whose first version was BCPL of what later came to be known as the C language and then further with more modifications and modulations in the same language it later came to be known as the C++. C++ is an program oriented programming language with the object oriented extensions. C language is always preferred to be the subset of the advanced C language. As C++ is preferred to be the superset of the basic C language the C++ programs should be able to compile debug as well as run all the C programming codes and the procedures. C++ is added with more advance features of the basic c language .It has more keywords then the C language. 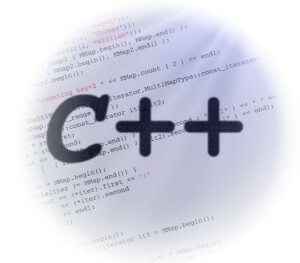 C++ is also referred more than the basic C language because it is been prescribed by the computer programming professionals that the C++ may replace the first C language in the coming future years or in some decades. The main focus in the OOP is on the actual data than the procedure. Programs are divided into smaller units then the original code which are further known to be the objects. The main advantage of the Object Oriented Programming is that the data can be hidden using the special access specifies like the protected private and public which have different meanings as per their wording itself. They cannot be accessed externally by any of the codes. – It provides overloading of function. -it provides overloading of functions. -Inheritance is the most powerful concept of the C++ Language.